We’ve been recently working with a next-gen sequencing data set. Not beautiful. There is some some ~600sd outlier causing trouble. This is interesting simply on merit of being surprising. There’s some R code below for how I went about this. 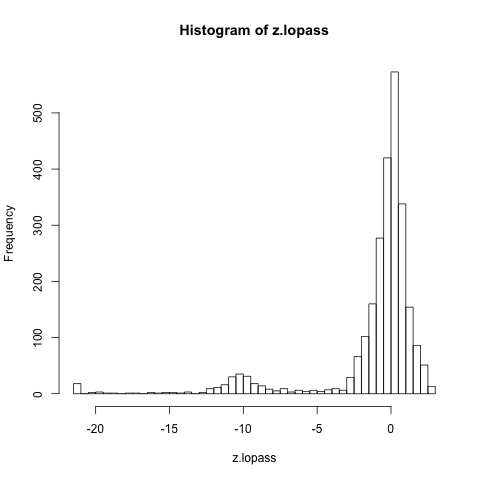 I’m also attaching a data file of the overall z-score coverage for all ~3K 1Mbase genomic regions. 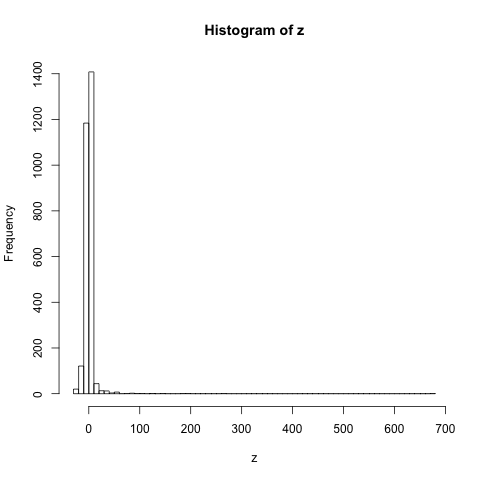 Column 2 is the z-score. Column 1 is the genome region. ––. Bits is used to compute the region size. 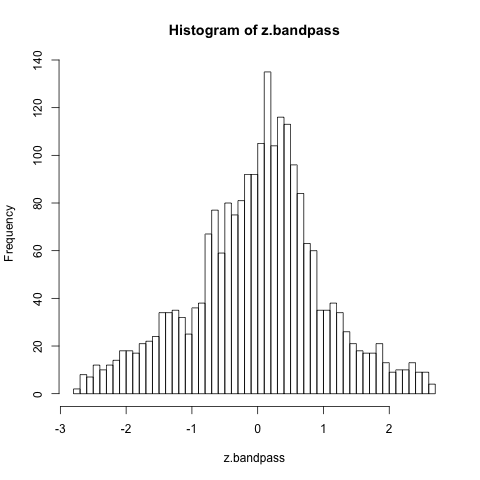 Here we use bits=20, so 2**20=1MBase regions. I might take a closer look what portions of the genome are falling into this blip at -10z. It’s at half coverage of the main data mode… maybe a copy number variant?